Directed by Kathryn Bigelow. 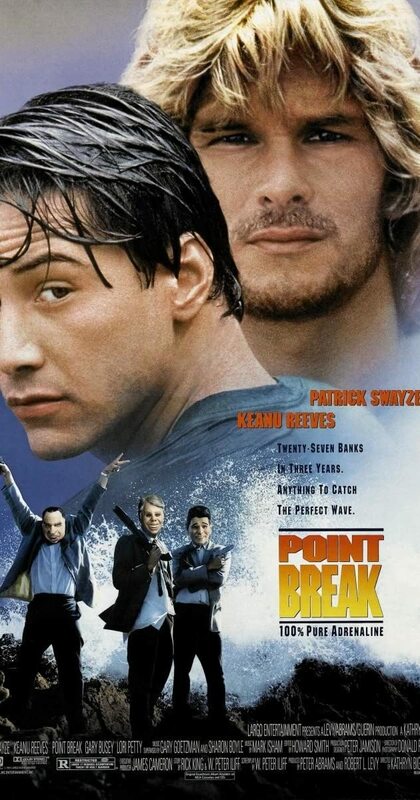 With Patrick Swayze, Keanu Reeves, Gary Busey, Lori Petty. An F.B.I. Agent goes undercover to catch a gang of surfers who may be bank robbers.